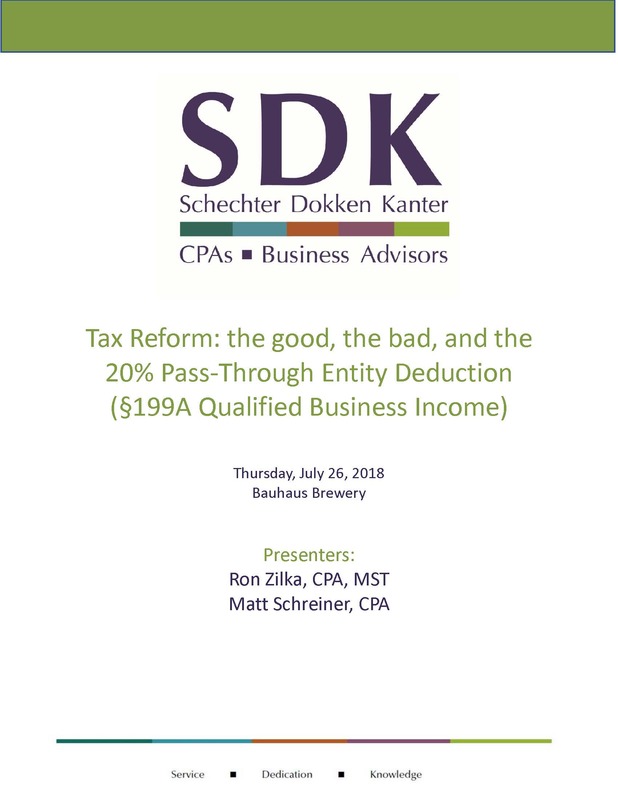 Our July seminar, Tax Reform: the good, the bad and the 20% Pass-Through Entity Deduction (Section 199A) was held on July 26. Missed the seminar but want the information? Click here for the handout. and then email Ron or Matt, because you will surely have questions. We will focus in on one of the most important topics pertaining to tax reform. Are you a business owner, entrepreneur, independent contractor, or real estate investor/landlord? Are you aware of the new 20% deduction for pass-through income? Do you understand what this means and how it will affect your tax situation? 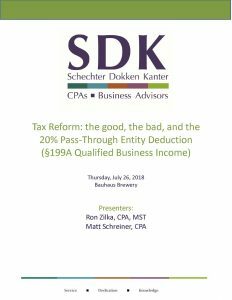 SDK’s tax team will lead the discussion about the impacts and opportunities.